Dr. J.S. Gravenstein founded the Division of Anesthesiology at the University of Florida in 1958. He earned his first medical degree in his native Germany in 1951, then continued his training in the Anesthesiology Department at Massachusetts General Hospital. He decided that his medical training in post-war Germany was inadequate and simultaneously went through Harvard Medical School, graduating with both a second MD and an anesthesiology residency. Most remarkably, he is likely the first medical student ever hired to start a clinical division, as he came directly to UF from Boston. During his time at the University of Florida, Gravenstein’s accomplishments were vast; some of his more poignant accolades were his dedication to improvement in patient safety and resident education. Dr. Gravenstein was the co-founder and original member of the Board of Trustees of the Anesthesia Patient Safety Foundation (APSF) and he also led a team of scientists and engineers in the creation of “Stan” the Human Patient Simulator and the Virtual Anesthesia Machine (VAM). These inventions, created and maintained here at UF, remain some of the most widely used medical simulation devices both nationally and internationally. In 2009, Dr. J.S. Gravenstein died at the age of 83, but up until 4 weeks prior to his passing, he was still actively involved in the department and could be found teaching residents and medical students in the simulator lab. 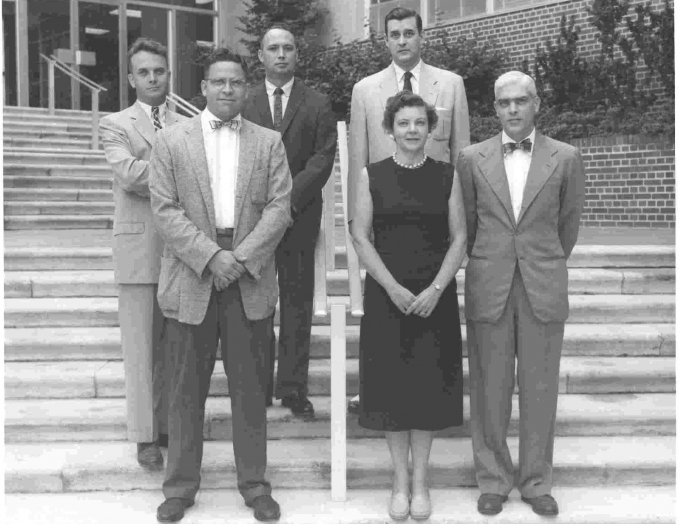 In 1969, Jerome H. Modell, MD, took over the fledgling department, which at the time comprised 11 people: one administrator, six faculty, and four residents. He served 23 years as chair, holding several administrative positions in addition to Chair and overseeing the establishment of a visiting professor program that has brought more than 200 professors to the department. The Chairs following Dr. Modell were Roy Cucchiara, MD, who played a large role in establishing the Jerome H. Modell, MD, Endowed Professorship; Nikolaus Gravenstein, MD, who oversaw the department’s development of a cardiac anesthesia fellowship that flourishes to this day; Kayser Enneking, MD, who led the department through a period of enormous growth and major systematic and organizational improvements despite major challenges; and present Chair, Timothy E. Morey, MD, who has overseen the introduction of cutting-edge technology focused on further improving patient care and safety. Around 2008, the department went through a tumultuous time resulting from the Great Recession; the College of Medicine cut funding in several areas, while patients putting off medical care to avoid out-of-pocket costs were coming to the hospital sicker than ever. The hospital was at peak capacity during this time, which was exacerbated by several staff departures. An abrupt need for anesthesia staff at the Alachua General Hospital stretched the hospital’s resources even further, and clinicians during this time were working harder for no extra pay. This period was a test of the department’s resilience and commitment to patient care as well as continuing academic improvement, and it resulted in several systematic improvements. The opening of the south tower alleviated many of the challenges the department had been facing, as well as created opportunities for new leadership roles and organizational changes in the department. Simultaneously, the hospital began introducing new technology in the operating rooms. Quality and safety became a major focus. The hospital and the department continued to make small changes over time, leading to vast improvements to the hospital’s environment. Within 2 years of introducing these systematic changes, the hospital had sprung to the top quartile among UHC peer hospitals in the areas of patient safety and mortality. In 2009, the department developed the Gravenstein Scholars Program to attract and support promising residents in developing their academic portfolio during residency. The program has produced three Gravenstein Scholars who have all successfully embarked on academic anesthesiology careers. The department has continued to grow year after year and is today one of the larger programs in the country, achieving national and international distinction. The hospital’s operating rooms are completely full with high utilization, and the opening of the UF Health Heart & Vascular Hospital and UF Health Neuromedicine Hospital promises even more growth in the future. The department’s first publication appeared in the Journal of the American Medical Association in 1959. Members of the department have been authors or co-authors of more than 5,000 publications since its founding. The department receives over $2.34 million per year in research grants and private donations, and currently has over $7 million in endowments. In 2016, the department anesthetized more than 46,000 patients.